The Anti-Racism Task Force has been working hard to raise awareness about racism in Kalamazoo, with a particular focus on the business community. The Task Force is committed to generating interest among, and securing commitments from, employers, human resources representatives, leaders, and managers to begin their journeys toward furthering their understanding of issues that are faced by current and potential members and employees who are people of color. We are excited to share that a Critical Cultural Competency workshop will take place on June 3rd as a first step in guiding business and community members on these journeys. The Task Force issued a call to action at the ISAAC public meeting last October and received many indications of interest from meeting attendees, some of whom have committed to participate in the June 3rd workshop. We’re eager to fill the workshop to capacity, so if you have a contact in Kalamazoo’s business community or in a local organization who you think would be open to this valuable learning opportunity, please share this information and ask them to contact the Task Force at [email protected] or (269) 341-4213 if they are interested in learning more about the workshop. 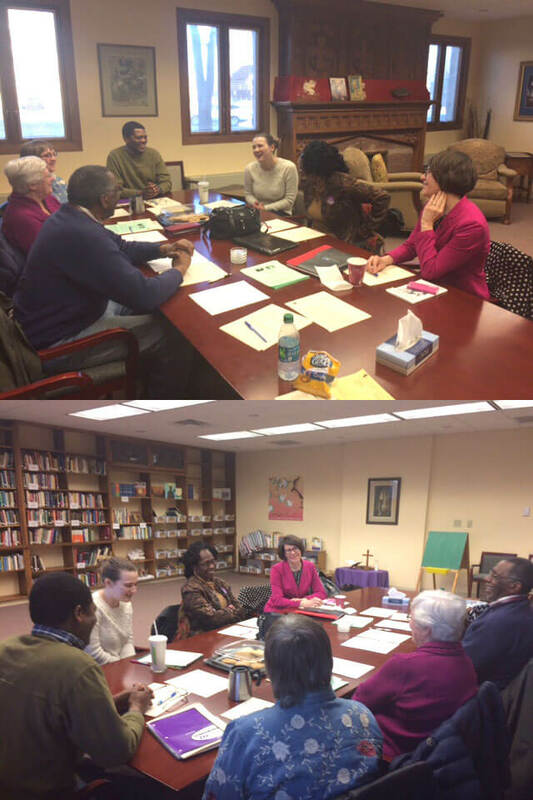 The Anti-Racism Task Force’s next meeting is on Tuesday, April 18 from 6:30-8:00 pm at St. Luke’s Episcopal Church in Kalamazoo. Please join us to learn more about our work!